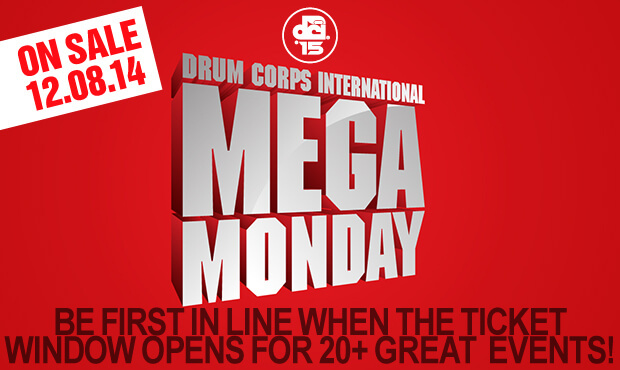 Less than one week from today you'll be able to get your hands on tickets to some of Drum Corps International's most popular events, with the return of MEGA MONDAY on December 8! On that very special day, the DCI Box Office will put tickets on sale to more than 20 events on the 2015 Drum Corps International Tour schedule. The following event tickets will be available starting Monday, December 8, beginning at noon, 12 p.m. ET.